INDIANAPOLIS (August 22, 2013) — After a triumphant three days bringing classic albums to Camp Bestival, exclusive classic album listening experience Classic Album Sundays has announced it will be a part of next month’s Bestival, again presented by the ‘Loud and Proud’ Klipsch Audio, a leading global loudspeaker and headphone manufacturer and home to the Klipschorn, the only speaker in the world to be in continuous production for over 65 years. 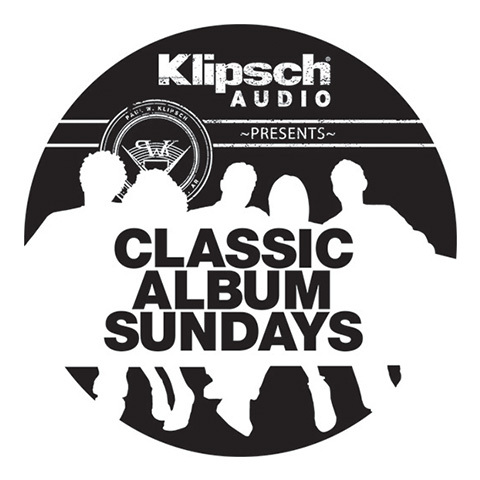 Classic Album Sundays is the world’s number one album listening event with regular sessions in cities throughout the world including London, Glasgow, New York, Tokyo, Oslo, Edinburgh and Portland, with more cities on the way. By presenting the musical context, the story behind the album and an uninterrupted replay of the album on vinyl on a world-class hi-fi, Classic Album Sundays and Klipsch Heritage Series speakers allow the listener to hear the music of a favourite artist more deeply than ever before, together delivering legendary, accurate sound reproduction and an opportunity to appreciate it communally with other music fans. With phones turned off and the option to shuffle through tracks taken away, it is a chance for the listener to fully immerse themselves in a record, just as the artist intended. Situated inside the Woodland Treehouse Centre in the Ambient Forest area, Classic Album Sundays at Bestival will allow music lovers to enjoy their favourite albums with daily morning and afternoon sessions. Each session will feature a presentation on the selected album followed by an uninterrupted vinyl playback on one of the world’s best audiophile sound systems (worth around £500,000), with loudspeakers supplied by Klipsch Audio. Pictures of the Classic Album Sundays events at Camp Bestival can be viewed here - http://classicalbumsundays.com/klipsch-audio-presents-classic-album-sundays-at-camp-bestival-gallery/. The sessions were a hit! As with Classic Album Sundays at Camp Bestival, which featured special guest Joe Boyd along with presentations from Laura Mvula and Steve Mason, the sessions at Bestival will also include a host of guest presenters. Special guest at Bestival will be punk and reggae historian, filmmaker and BBC 6 Music radio host Don Letts who will be presenting Bob Marley ‘Catch A Fire’ and Marvin Gaye ‘What’s Going On’. Other guest presenters will include Horse Meat Disco presenting Diana Ross ‘The Boss’ and DJ Yoda presenting A Tribe Called Quest ‘Midnight Marauders’ with more to be announced soon. There will be limited seating and no advance sign-up and entry to the limited seating sessions will be on a first-come-first serve basis. Each session will start promptly at the scheduled time. More artists and albums will be announced in due course and @ClassicAlbumSun should be followed on Twitter for regular updates. For over 65 years, Klipsch has designed premium speakers for those who are passionate about great sound. Company founder Paul W. Klipsch started this legacy in 1946, and it continues today with sheer commitment to innovation and delivering the world’s most powerful, detailed and emotional sound reproduction. Klipsch Heritage Series range of speakers includes four great classic models including the Klipschorn, La Scala, Cornwall, and Heresy. The range of speakers offers users a clear, crisp and powerful way of listening to music - delivering an accurate representation of the original recording artists audio. Today, the brand’s diverse product portfolio encompasses home theater, professional cinema, installed whole-house contracting, commercial, computer speakers, wireless portable speakers and headphones. As one of the first U.S. loudspeaker companies, Klipsch continues to be the high-performance brand of choice for audiophiles and home theater aficionados around the world. Klipsch Group, Inc. is also a wholly-owned subsidiary of VOXX International Corporation (NASDAQ: VOXX). Bestival takes place at Robin Hill Country Park, Isle of Wight over Thursday 4th to Sunday 7th September. For more information visit http://www.bestival.net.